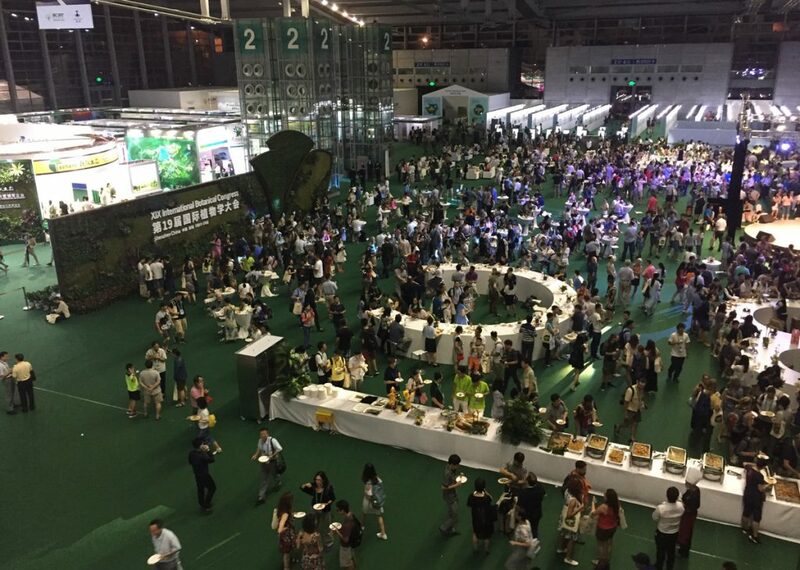 The 19th International Botanical Congress, IBC 2017, was held from July 23 to 29. And a spectacle it was! Shenzhen pulled out all the stops–Olympics-style opening ceremonies complete with dancing children, huge living walls, the sides of skyscrapers lit up, free metro passage for everyone, airport style security to enter the building …. you name it! I’m not sure exactly how many people were there–the estimates I saw were around 6 to 7 thousand–but it was a lot. And great to meet old friends, make new ones, and see a lot of science! I didn’t take many photos, but will include a few here to give a taste. This is the view out, with one’s back to the convention centre entrance. IBC was everywhere! 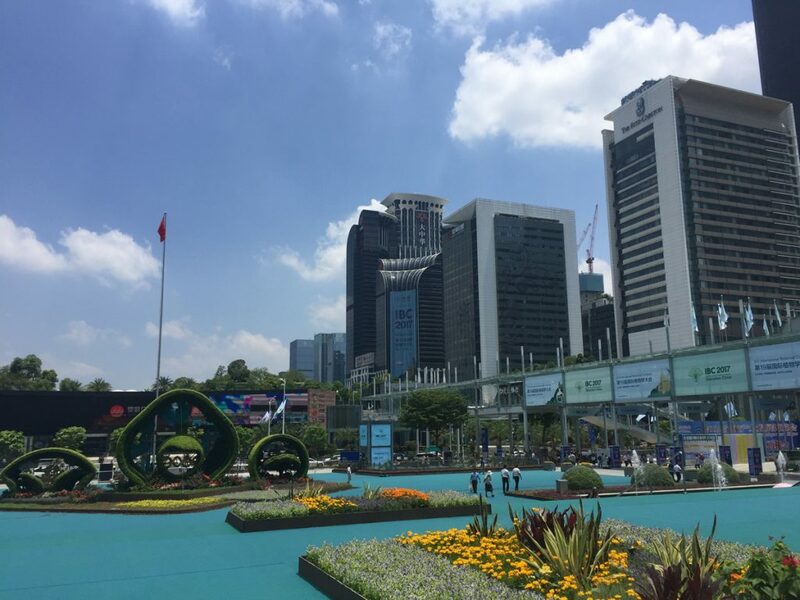 (Shenzhen, btw, is a big city–something like 14 million people–and one of China’s “economic experimental zones” (I think I have that right). In other words, there was a Starbucks across the street, and the fastest way back to the hotel was through the mall. The prelude to the opening ceremonies (the tables spelled out “IBC”). 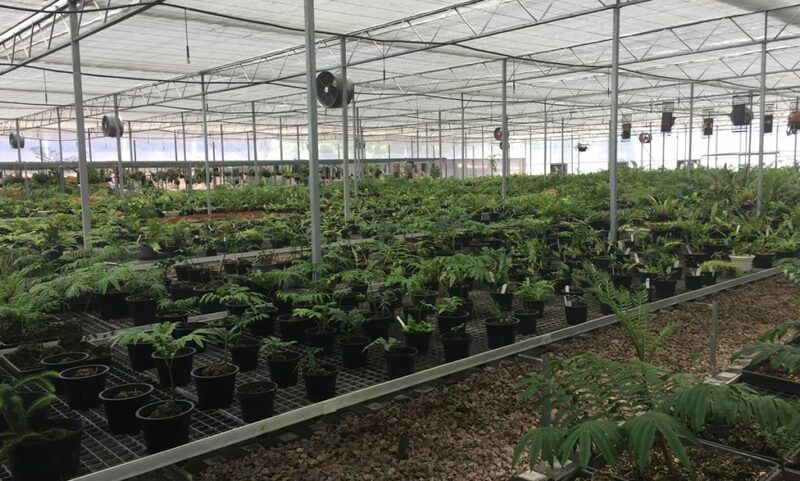 We took a field trip to the Fairy Lake Botanical Garden and got a behind-the-scenes tour of their massive fern propagation house. A motley international crew of pteridologists! Including a few Rothfels lab alums. It was great to get to see so many people! (I thought the photos was from Jefferson Prado, but given that he’s there in the front row, I appear to be mistaken).